#Hashtags. It seems like they are everywhere. Hashtags are visible on social media and the web. Whether Twitter, Facebook, Google+, Instagram, or another popular site using it, hashtags are now an integral part of social media. People use them out of context these days, in text messages, chats, songs, and advertisements. In fact, hashtags are so widespread in use that the word “hashtag” was included in the Oxford English dictionary in June 2014, making it an official word. A hashtag is a social media tagging system that organizes content by creating a link that makes it easier to find and follow a conversation about that topic by adding the “#” symbol in front, without any spacing. So whenever a user adds a hashtag to a post, it is immediately indexed by the social network and searchable by other users, a type of metadata tag. Hashtags originated from Twitter users as a way to organize and find tweets by topic. These phrases or words will appear on Twitter Search, making it easier to find and join an existing conversation or create one. If a hashtag gains momentum or relative popularity, the “hashtagged” word or phrase is known to be “trending”. These trending hashtags appear on the left hand column of your Twitter page. Hashtags play a significant role in social media marketing, therefore when it comes to “hashtagging”, you have to use it strategically and it can very well differentiate an average social media campaign from a successful one. So do you really need to use Hashtags? Well, we highly recommend it. With hashtags, your tweets will receive more engagement and your overall social media traffic can be significantly improved. Note: This #HashtagBestPractices, a two-part series will share useful hashtag tips for your different social media platforms in order to maximize the potential reach and engagement of your posts. This first installment of this 2-part series will comprise of tips for Twitter posts. Though hashtags increase engagement, too much of it is really spamming. Engagement for tweets using just two or one judicious hashtags in tweets is higher than tweets with multiple hashtags. Do not spam your posts with a lot of random hashtags, just to appear in as many places as possible. It does not add any extra value for your audience and they will view it as less “trustworthy”, a nuisance and a hyped up post. This could result in an “unfollow” from your current audience or perhaps they will just plain ignore your messages. Twitter has a 140 character word limit and you have to ensure you get as much quality content within this limited space. Hashtag phrases do take up a chunk of that character space. Short and sweet hashtags get the message across effectively and gives you more character space to write your own comments. Moreover, long hashtags make it difficult for people to use it. So keeping it under 20 characters is optimal. Do things with a purpose. Use a good hashtag to string pieces of your campaign together and to engage with your followers and fans. Use unique hashtags that are memorable and easy to spell. 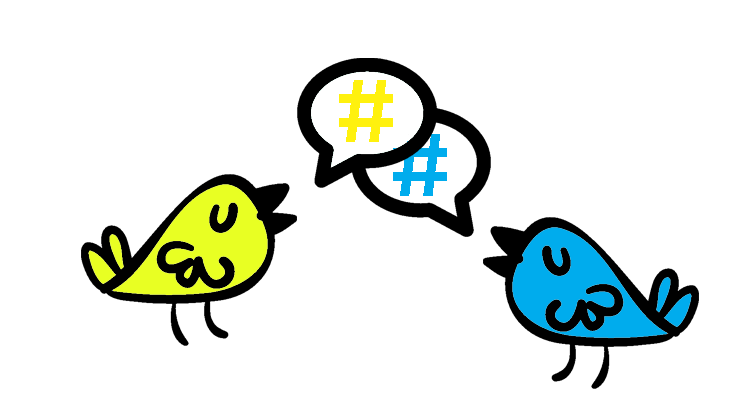 Your hashtag gives your audience the ability to easily join and follow the conversation. Furthermore, the hashtags used should be in line with your social media messages and tone, and one your audience will acknowledge. Though hashtags are not case-sensitive, you should still make your message clear with caps when your hashtag is a phrase that may create confusion. Stringing words together into a hashtag, without spaces, can result in the hashtag being interpreted in multiple ways. It is always good to make your message clear to your audience; Otherwise your hashtag may end up become a laughing matter. If you are not creating a hashtag for your campaign, as a brand, it is good to join a conversation using an existing hashtag people are already using. This is an opportunity to strengthen brand loyalty and have your audience feel acknowledged and engaged. Furthermore, using existing, topic based hashtags help people discover your content. Use hashtags with pertinent context to engage relevant people in the community and industry. This allows you to gain more exposure, connect and build relationships not only to a larger audience, but to potential influencers. You may want to consider registering your hashtag on sites like www.hashtags.org or www.twubs.com. Registering a hashtag allows your hashtag to appear on a hashtag directory as the owner of the hashtag, thus staking your claim on it. However, you still don’t technically “own” the hashtag like how you can own a website’s domain name even after registering.It does not prevent others from using it as well. Nevertheless, all it takes is just a few minutes to register. In conclusion, social media is overflowing with content, and hashtags (#) are a good way to stand apart from the noise. Apart from just Twitter, you should develop and use hashtags on other social media platforms to widen your audience reach and continue conversations across all platforms. This way there are more channels for audiences to engage in dialogue with the brand or business. In our second installation to this 2-part series we will discuss Facebook Hashtagging tips that you should apply to your social efforts. #Hashtags. It seems like they are everywhere. -- Hashtags are visible on social media and the web. Whether Twitter, Facebook, Google+, Instagram, or another popular site using it, hashtags are now an integral part of social media. People use them out of context these days, in text messages, chats, songs, and advertisements.